Jayden is an energetic youngster who loves to sing! Jayden is diagnosed with Autism Spectrum Disorder, which affects his verbal communication. He is learning new words and phrases every day. Jayden's favorite activity is singing. He loves to sing and this helps him to learn new words and build bonds and attachments with others. Other activities Jayden enjoys engaging in are being read to and playing with toy cars and trucks. His favorite show is Sesame Street and he is particularly fond of Elmo. Any chance Jayden gets, he asks to watch Elmo. Jayden is friendly with other children and adults. He loves to greet new people. Visit me at the Heart Gallery of North East Texas. 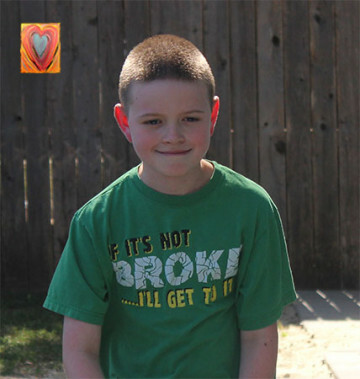 Jayden's forever family will be compassionate and committed. They will already have an understanding or be willing to learn how to help young people with Autism Spectrum Disorder. Jayden's family will also be excited to sing along to his favorite songs. His family will respect his limitations, but also be willing to push Jayden to his fullest potential. He needs parents who will be able to spend independent time with him while he builds trust with them and while they learn his communication style. He needs a family who will locate and utilize resources that will help him grow and thrive. Jayden's family will offer unconditional love and support for him.